Agardy, T., Claudet, J., Day, J.C., 2016. ‘Dangerous targets’ revisited : old dangers in new contexts plague marine protected areas. Aquatic Conservation: Marine and Freshwater Ecosystems, 26(sup. 2): 7-23. Ardura, A., Juanes, F., Planes, S., Garcia-Vazquez, E., 2016. Rate of biological invasions is lower in coastal marine protected areas. Scientific Reports, doi: 10.1038/srep33013. Ardura, A., Planes, S., Garcia-Vazquez, E., 2016. Phylogenetic analysis for detection of multiple fouling events : a pilot study of barnacles at Moorea Island (French Polynesia). Crustaceana, 89(8) : 863-875. Bégin, C., Schelten, C.K., Nugues, M.M., Hawkins, J., Roberts, C., Côté, I.M., 2016. Effects of protection and sediment stress on coral reefs in Saint Lucia. Plos One, doi: 10.1371/journal.pone.014685. Beldade, R., Holbrook, S.J., Schmitt, R.J., Planes, S., 2016. Spatial patterns of self-recruitment of a coral reef fish in relation to island-scale retention mechanisms. Molecular Ecology, 25 : 5203-5211. Berthe, C., Chancerelle, Y., Lecchini, D., Hédouin, L., 2016. First report of a dramatic rapid loss of living coral on the north coast of Western Samoa. Vie et Milieu, 66: 155-157. Berthe, C., Lecchini, D., 2016. Influence of boat noises on escape hehaviour of white-spotted eagle ray Aetobatus ocellatus at Moorea Island (French Polynesia). 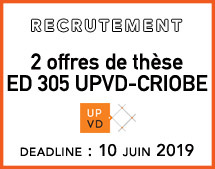 Comptes Rendus Biologies, 339: 99-103. Berthe, C., Mourier, J., Lecchini, D., Rummer, J.L., Sellos, D.Y., Iglésias, S.P., 2016. 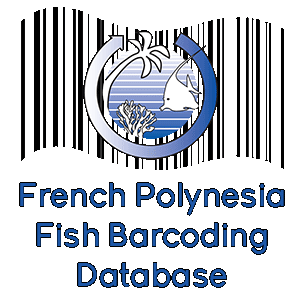 DNA barcoding supports the presence of the cryptic ocellated eagle ray, Aetobatus ocellatus (Myliobatidae) in French Polynesia, South Pacific. Cybium, 40: 181-184. Bertucci, F., Legraverant, Y., Berthe, C., Brooker, R.M., Lo, C., Lecchini, D., 2016. Natural cleaning of the black-lip pearl oyster Pinctada margaritifera by butterflyfishes (Chaetodon) in French Polynesia. Estuarine, Coastal and Shelf Science, 182: 270-273. Bertucci, F., Parmentier, E., Lecellier, G., Hawkins, A.D., Lecchini, D., 2016. Acoustic indices provide information on the status of coral reefs : an example from Moorea Island in the South Pacific. Scientific Reports, doi : 10.1038/srep33326. Besson, M.L., Trancart, T., Acou, A., Charrier, F., Mazel, V., Legault, A., Feunteun, E., 2016. Disrupted downstream migration behaviour of European silver eel (Anguilla anguilla, L.) in an obstructed river. Environmental Biology of Fishes, doi:10.1007/s10641-016-0522-9. Blay, C., Parrad, S., Cabral, P, Aiho, V., Ky, C.L., 2016. Correlations between cultured pearl size parameters and PIF-177 biomarker expression in Pinctada margaritifera families reared in two contrastaing environments. Estuarine Coastal and Shelf Science, 182(B), 254-260. Bode, M., Williamson, D.H., Weeks, R., Jones, G.P., Almany, G.R., Harrison, H.B., Hopt, J.K., Pressey, R.L., 2016. Planning marine reserve networks for both feature representation and demographic persistence using connectivity patterns. Plos One, doi: 10.1371/journal.pone.0154272. Boissin, E., Hoareau, T.B., Paulay, G., Bruggemann, J.H., 2016. 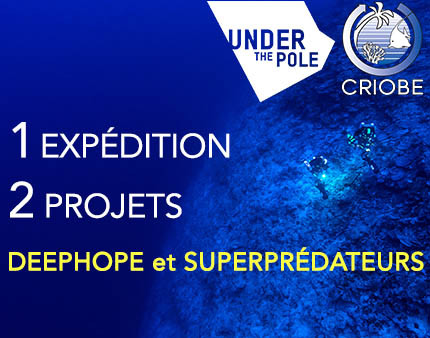 Shallow-water reef ophiuroids (Echinodermata: Ophiuroidea) of Réunion (Mascarene Islands), with biogeographic considerations. Zootaxa, 4098 (2) : 273-297. Boissin, E., Micu, D., Janczyszyn-Le Goff, M., Neglia, V., Bat, L., Todorova, V., Paznayotova, M., Kruschel, C., Macic, V., Milchakova, N., Keskin, C., Anastasopoulou, A., Nasto, I., Zane, L., Planes, S., 2016. Contemporary genetic structure and postglacial demographic history of the black scorpionsfish, Scorpaena porcus, in the Mediterranean and the Black Sea. Molecular Ecology, doi: 10.1111/mec.13616. Chipeaux, A., Pinault, M., Pascal, N., Pioch, S., 2016. 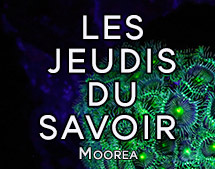 Analyse comparée à l’échelle mondiale des techniques d’ingénierie écologiques adaptées à la restauration des récifs coralliens. Revue d’Ecologie Terre Vie, 71 (2). Clua, E., 2016. Misidentification of video clips and missing sequences among supplementary online material from Martin (2007). Marine and Freshwater Behaviour and Physiology, doi.org/10.1080/10236244.1157929. Clua, E., Bessudo, S., Labrecque, M., Hoyos-Padilla, M., 2016. First record of giant trevally (Caranx ignobilis) around Clipperton Atoll-La Passion Island (North-Eastern tropical Pacific. Cybium, 40(3): 259-260. Clua, E., Séret, B. 2016. Species identification of the shark involved in the 2007 Lifou fatal attack on a swimmer: a reply to Tirard et al. (2015). Journal of Forensic and Legal Medicine, 40: 58-60. Clua, E., Vignaud, T., 2016. Possible collapse of reef shark populations in remote coral reef ecosystems in the Coral Sea (Western Pacific). Cybium, 40(1): 51-59. Colleye, O., Kéver, L., Lecchini, D., Berten, L., Parmentier, E., 2016. Auditory evoked potential audiograms in post-settlement stage individuals of coral reef fishes. Journal of Experimental Marine Biology and Ecology, 483: 1-9. Costalat, G., Coquart, J., Castres, I., Joulia, F., Sirost, O., Clua, E., Lemaître, F., 2016. The oxygen-conserving potential of the diving response: a kinetic-based analysis. Journal of Sport Sciences, http://dx. doi.org/10.1080/026414.2016.118309. 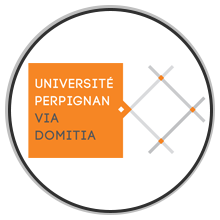 D’agata, S., Vigliola, L., Graham, N.A.J., Wantiez, L., Parravicini, V., Villéger, S., Mou-Tham, G., Frolla, P., Friedlander, A.M., Kulbicki, M., Mouillot, D., 2016. Unexpected high vulnerability of functions in wilderness areas: evidence from coral reef fishes. Proceedings of the Royal Society B, 283. 201601128. Davies, N., Field, D., Gavaghan, D., Holbrook, S.J., Planes, S., Troyer, M., Bonsall, M., Claudet, J., Roderick, G., Schmitt, R.J., Zettler, L.A., Berteaux, V., Bossin, H.C., Cabasse, C., , Collin, A., Deck, J., Dell, T., Dunne, J., Gates, R., Herfoot, M., Hench, J.L., Hopuare, M., Kirch, P., Kotoulas, G., Kosenkov, A., Kusenko, A.,Leichter, Lenihan, H., Magoulas, A., Martinez, N., Meyer, C., Stoll, B., Swalla, B., Tartakovsky, D.M., Murphy, H.T., Turyshev, S., Valdvinos, F., Williams, R., Wood, S., IDEA consortium, 2016. 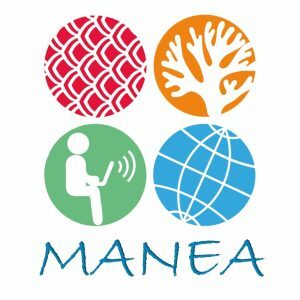 Simulating social-ecological systems : the island digital ecosystem avatars (IDEA) consortium. Gigascience, 5 :14 doi : 10.1186/s13742-016-0118-5. Delrieu-Trottin, E., Planes, S., Williams, J.T., 2016. When endemic coral-reef fish species serve as models: endemic mimicry patterns in the Marquesas Islands. Journal of Fish Biology, doi: 10.1111/jfb.13050. Delser, P.M., Corrigan, S., Hale, M., Li, C., Veuille, M., Planes, S., Naylor, G., Mona, S., 2016. Population genomics of C. melanopterus using target gene capture data : demographic inferences and conservation perspectives. Scientific Reports, 6 : 33753 doi :10.1038/srep33753. Diez-Castellnou, M., Salvia, M.V., Springhetti, S., Rastrelli, F., Mancin, F., 2016. Nanoparticle-assisted affinity NMR spectroscopy : high sensitivity detection and identification of organic molecules. Chemistry European Journal, 22 : 1-8. Dubois, M., Rossi, V., Ser-Giacomi, E., Arnaud-Haond, S., López, C., Hernández-García, E., 2016. Linking basin-scale connectvity, oceanography and population dynamics for the conservation and management of marine ecosystems. Global Ecology and Biogeography, doi: 10.1111/geb.12431. Dubousquet, V., Gros, E., Berteaux-Lecellier, V., Viguier, B., Raharivelomanana, P., Bertrand, C., Lecellier, G., 2016. Changes in fatty acid composition in the giant clam Tridacna maxima in response to thermal stress. Biology Open, 5-1400-1407. Ferrer-Maza, D., Lloret, J., Muñoz, M., Faliex, E., Vila, S., Sasal, P., 2016. Links between parasitism, energy reserves and fecundity of European anchovy, Engraulis encrasicolus, in the northwestern Mediterranean Sea. Conservation Physiology, 4, doi 10.1093/conphys/cov069. Firmat, C., Alibert, P., Mutin, G., Losseau, M., Pariselle, A., Sasal, P.., 2016. A case of complete loss of gill parasites in the invasive cichlid Oreochromis mossambicus. Parasitology Research, 115 : 3657-3661. Galzin, R., Lecchini, D., Lison de Loma, T., Moritz, C., Parracicini, V., Siu, G., 2016. 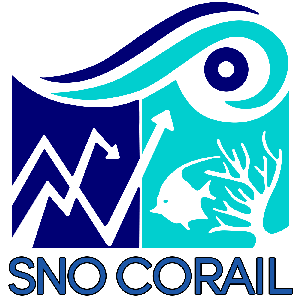 Long term monitoring of coral and fish assemblages (1983-2014) in Tiahura reefs, Moorea, French Polynesia. Cybium, 40(1): 31-41. Gaucher, J.F., Reille-Seroussi, M., Gagey-Eilstein, N., Broussy, S., Coric, P., Deijo, B., Lascombe, M.B., Gautier, B., Liu, W.Q., Huguenot, F., Inguimbert, N., Bouaziz, S., Vidal, M., Broutin, I., 2016. Biophysical studies of the induced demerization of human VEGF receptor 1 binding domain by divalent metals competing with VEGF-A. Plos One, doi: 10.1371/journal.pone.0167755. Gervais, C., Mourier, J., Rummer, J.L., 2016. Developing in warm water: irregular colouration and patterns of a neonate elasmobranch. Marine Biodiversity, doi: 10.1007/s12526-015-0429-2. Giakoumi, S., Guilhaumon, F., Kark, S., Terlizzi, A., Claudet, J., Felline, S., Cerrano, C., Coll, M., Danovaro, R., Fraschetti, S., Koutsoubas, D., Ledoux, J.B., Mazor, T., Mérigot, B., Micheli, F., Katsanevakis, S., 2016. Space invaders ; biological invasions in marine conservation planning. Diversity and Distributions, 22: 1220-1231. Gil, M.A., Goldenberg, S.U., Thai Bach, A.L., Mills, S.C., Claudet, J., 2016. Interactive effects of three pervasive marine stressors in a post-disturbance coral reef. Coral Reefs, doi : 10.1007/s00338-016-1489-x. Givan, O., Parravicini, V., Kulbicki, M., Belmaker, J., 2016. Trait structure reveals the processes underlying fish establishment in the Mediterranean. Global Ecology and Biogeography, doi: 10.1111/geb.12523. Goetze, J., Langlois, T., Claudet, J., Januchowski-Hartley, F., Jupiter, S.D., 2016. Periodically harvested closures require full protection of vulnerable species and longer closure periods. Biological Conservation, 203: 67-74. Groner, M.L., Maynard, J., Breyta, R., Carnegie, R.B., Dobson, A., Friedman, C.S., Froelich, B., Garren, M., Gulland, F.M.D., Heron, S.F., Noble, R.T., Revie, C.W., Shields, J.D., Vanderstichel, R., Weil, E., Wyllie-Etchevarrtia, S., Harvell, C.D., 2016. Managing marine disease emergencies in an era of rapid change. Philosophical Transactions B, 371: 20150364. Hamilton, R.J., Almany, G.R., Stevens, D., Bode, M., Pita, J., Peterson, N.A., Choat, J.H., 2016. Hyperstability masks declines in bumphead parrotfish (Bolbometopon muricatum) populations. Coral Reefs, 35 : 751-763. Hédouin, L., Metian, M., Teyssié, J.L., Oberhänsli, F., Ferrier-Pagès, C., Warnau, M., 2016. Bioaccumulation of 63Ni in the scleractinian coral Stylophora pistillata and isolated Symbiodinium using radiotracer techniques. Chemosphere, 156 : 420-426. IF 3.698 (Q). Hédouin, L.S., Wolf, R.E., Phillips, J., 2016. Improving the ecological relevance of toxicity tests on scleractinian corals: influence of season, life stage, and seawater temperature. Environmental Pollution, 213: 240-253. Heron, S.F., Johnston, L., Liu, G., Geiger, E.F., Maynard, J.A., De La Cour, J.L., Johnson, S., Okano, R., Benavente, D., Burgess, T.F.R., Iguel, J., Perez, D.I., Skirving, W.J., Strong, A.E., Tirak, K., Eakin, C.M., 2016. Validation of reef-scale thermal stress satellite products for coral bleaching monitoring. Remote Sensing, 8, 59 doi 10.3390/rs8010059. Heron, S.F., Maynard, J.A., Hooidonk, R. van, Eakin, C.M., 2016. Warming trends and bleaching stress of the world’s coral reefs 1985-2012. Scientific Reports, doi : 10.1038/srep38402. Herrera, M., Nanninga, G.B., Planes, S., Jones, G.P., Thorrold, S.R., Saenz-Agudelo, Almany, G .R., Berumen, M.L., 2016. Seascape and life-history traits do not predict self-recruitment in a coral reef fish. Biology Letters, http://dx.doi.org/10.1098/rsbl.2016.0309. Hooidonk, R. van, Maynard, J., Tamelander, J., Gove, J., Ahmadia, G., Raymundo, L., Williams, G., Heron, S.F., Planes, S., 2016. Local-scale projections of coral reef futures and implications of the Paris agreement. Scientific Reports, 6: 39666. Doi: 10.1038/srep39666. Horta e Costa, B., Claudet, J., Franco, G., Erzini, K., Caro, A., Gonçalves, E.J., 2016. A regulation-based classification system for marine protected areas. Marine Policy, 72: 192-198. Jacquet, C., Moritz, C., Morissette, L., Legagneux, P., Massol, F., Archambault, P., Gravel, D., 2016. No complexity-stability relationship in empirical ecosystems. Nature Communications, 7 : 12573. Doi: 10:1038/ncomms12573. Johnson, J.E., Welch, D.J., Maynard, J.A., Bell, J.D., Pecl, G., Robins, J., Saunders, T., 2016. Assessing and reducing vulnerability to climate change : moving from theory to practical decision-support. Marine Policy, 74: 220-229. Jorissen, H., Skinner, C., Osinga, R., Beer D. de, Nugues, M.M., 2016. Evidence for water-mediated mechanisms in coral-algal interactions. Proceedings of the Royal Society B, 283 : 20161137. Keith, S.A., Maynard, J.A., Edwards, A.J., Guest, J.R., Bauman, A.G., Hooidonk, R. van, Heron, S.F., Berumen, M.L., Bouywmeester, J., Piromvaragorn, S., Rahbek, C., Baird, A.H., 2016. Coral mass spawning predicted by rapid seasonal rise in ocean temperature. Proceedings of the Royal Society B, 283: 20160011. Kiszka, J.J., Mourier, J., Gastrich, K., Heithaus, M.R., 2016. Using unmanned aerial vehicles (UAVs) to investigate sharks and ray densities in a shallow coral lagoon. Marine Ecology Progress Series, 560: 237-242. Ky, C.L, Blay C., Lo C., 2016. Half-sib family effects on cultured pearl quality traits in the black-lipped pearl oyster Pinctada margaritifera: testing for indirect benefits of polyandry and polygyny. Aquaculture International, 24(1), 171-182. Lamy, T., Galzin, R., Kulbicki, M., Lison de Loma, T., Claudet, J., 2016. Three decades of recurrent declines and recoveries in coral belie ongoing change in fish assemblages. Coral Reefs, 35: 293-302. Leenhardt, P., Lauer, M., Madi Moussa, R., Holbrook, S.J., Rassweiler, A., Schmitt, R .J., Claudet, J., 2016. Complexities and uncertainties in transitioning small-scale coral reef fisheries. Frontiers in Marine Science, 3, doi: 10.3389/fmars.2016.00070. Leprieur, F., Colosio, S., Descombes, P., Parravicini, V., Kulbicki, M., Cowman, P.F., Bellwood, D., Mouillot, D., Pellissier, L., 2016. Historical and contemporary determinants of global phylogenetic structure in tropical reef fish faunas. Ecography. 38, doi: 10.1111/ecog.01638. Leprieur, F., Descombes, P., Gaboriau, T., Cowman, P.F., Parravicini, V., Kulbicki, M., Melián, C.J., Santana, C.N. de, Heine, C., Mouillot, D., Bellwood, D.R., Pelissier, L., 2016. Plate tectonics drive tropical reef biodiversity dynamics. Nature Communications 7: 11461. Loiseau, N., Legras, G., Kulbicki, M., Mérigot, B., Harmelin-Vivien, M., Mazouni, N., Galzin, R., Gaertner, J.C., 2016. Multi-component ß-diversity approach reveals conservation dilemma between species and functions of coral reef fishes. 2016. Journal of Biogeography, doi : 10.1111/jbi.12844. Lounnas, M., Vázquez, A.A., Alda, P., Sartori, K., Pointier, J.P., David, P., Hurtrez-Boussès, S., 2016. Isolation, characterization and population-genetic analysis of microsatellite loci in the freshwater snail Galba cubensis (Lymnaeidae), Journal of Molluscan Studies, doi: 10.1093/mollus/eyw04. Maisano Delser, P., Corrigan, S., Hale, M., Li, C., Veuille, M., Planes, S., Naylor, G., Mona, S., 2016. Populationb genomics of C. melanopterus using target gene capture data : demographic inferences and conservation perspectives. Scientific Reports, 6 : 33753. Doi : 10.1038/srep33753. Maynard, J., Hooidonk, R. van, Harwell, C.D., Eakin, C.M., Liu, G., Willis, B.L., Williams, G .J., Groner, M.L., Dobson, A., Heron, S.F., Glenn, R., Reardon, K., Shields, J.D., 2016. Improving marine disease surveillance through sea temperature monitoring, outlooks and projections. Philosophical Transactions B, 371: 20150208. Meistertzheim, A.L., Lartaud, F., Arnaud-Aond, S., Kalenitchenko, D., Bessalam, M., Le Bris, N., Galand, P.E., 2016. Pattern of bacteria-host associations suggest different ecological strategies between two reef building cold-water coral species. Deep-Sea Resarch I, 114: 12-22. Mellin, C., Mouillot, D., Kulbicki, M., McClanahan, T.R., Vigliola, L., Bradshaw, C.J.A., Brainard, R.E., Chabanet, P., Edgar, G.J., Fordham, D.A., Friedlander, A.M., Parravicini, V., Sequiera, A.M.M., Stuart-Smith, R.D., Wantiez, L., Caley, M.J., 2016. Humans and seasonal climate variability threaten large-bodied coral reef fish with small ranges. Nature Communications, doi: 10.1038/ncomms10491. Metian, M., Pouil, S., Hédouin, L., Oberhänsli, F., Teyssié, J.L., Bustamente, P., Warnau, M., 2016. Differential bioaccumulation of 134Cs in tropical marine organisms and the relative importance of exposure pathways. Journal of Environmental Radioactivity, 152 : 127-135. Milazzo, M., Quattrocchi, F., Azzurro, E., Palmeri, A., Chemello, R., Di Franco, A., Guidetti, P., Sala, E., Sciandra, M., Badalamenti, F., García-Charton, J.A., 2016. Warming-related shifts in the distribution of two competing coastal wrasses. Marine Environmental Research, 120: 55-67. Miralles, L., Oremus, M., Silva, M.A., Planes, S., Garcia-Vazquez, E., 2016. Interspecific hybridization in pilot whales and asymetric genetic introgression in northern Globicephala melas under the scenario of glabal warming. Plos One, doi : 10.1371/journa.pone.0160080. Mokkonen, M., Koskela, E., Mappes, T., Mills, S.C., 2016. Evolutionary conflict between maternal and paternal interests: integration with evolutionary endocrinology. Integrative and Comparative Biology, doi: 10.1093/icb/icw053. Morin, E., Gatti, C., Bambridge, T., Chinain, M., 2016. Ciguatera fish poisoning : incidence, health costs and risk perception on Moorea Island (Society archipelago, French Polynesia). Harmful Algae, 60: 1-10. 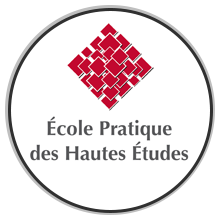 Mouillot, D., Parravicini, V., Bellwood, D.R., Leprieur, F., Huang, D., Cowman, P.F., Albouy, C., Hughes, T.P., Thuiller, W., Guilhaumon, F., 2016. Global marine protected areas do not secure the evolutionary history of tropical corals and fishes. Nature Communications, doi: 10.1038/ncomms/naturecommunications. Mourier, J., Maynard, J., Parravicini, V., Balesta, L., Clua, E., Domeier, M.L., Planes, S. 2016. Extreme inverted trophic pyramid of reef sharks supported by spawning groupers. Current Biology, 26 http://dx.doi.org/10.1016/.cub.2016.05.058. Nedelec, S.L., Mills, S.C., Lecchini, D., Nedelec, B., Simpson, S.D., Radford, A.N., 2016. Repeated exposure to noise increases tolerance in a coral reef fish. Environmental Pollution, 216:428-436. 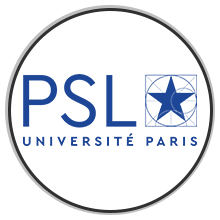 O’Connor, J.J., Lecchini, D., Beck, H.J., Cadiou, G., Lecellier, G., Booth, D.J., Nakamura, Y., 2016. Sediment pollution impacts sensory ability and performance of settling coral-reef fish. Oecologia, 180: 11-21. Pascal, N., Allenbach, M., Brathwaite, A., Burke, L., Le Port, G., Clua, E., 2016. Economic valuation of coral reef ecosystem service of coastal protection: a pragmatic approach. Ecosystem Services, 21: 72-80. Patil, C., Calvayrac, C., Zhou, Y., Romdhane, S., Salvia, M.V., Cooper, J.F., Dayan, F.E., Bertrand, C., 2016. Environmental metabolic footprinting: a novel application to study the impact of a natural and a synthetic ß-triketone herbicide in soil. Science of the Total Environment, 552-558. Puotinen, M., Maynard, J.A., Beeden, J.A., Radford, Williams, G.J., 2016. A robust operational model for predicting where tropical cyclone waves damage coral reefs. Scientific Reports, doi: 10.1038/srep26009. Rattray, A., Andrello, M., Asnaghi, V., Bevilacqua, S., Bulleri, F., Cebrian E., Chiantore, M., Claudet, J., Deudero, S., Evans, J., Fraschetti, S., Guarnieri, G., Mangiolajo, L., Schembri, P.J., Terlizzi, A., Benedetti-Cecchi, L., 2016. Geographic distance, water circulation and environmental shape the biodiversity of Mediterranean rocky coasts. Marine Ecology Progress Series, 553 doi: 10.3354/meps11763. Reverter, M., Cutmore, S.C., Bray, R., Cribb, T.H., Sasal, P., 2016. Gill monogenean communities (Platyhelminthes, Monogenea, Dactylogyridae) of butterflyfishes from tropical Indo-West Pacific islands. Parasitology, doi: 10.1017/S0031182016001463. Reverter, M., Perez, T., Ereskovsky, A.V., Banaigs, B., 2016. Secondary metabolome variability and inducible chemical defense in the Mediterranean sponge Aplysina cavernicola. Journal of Chemical Ecology, doi: 10.1007/s10886-015-0664-9. 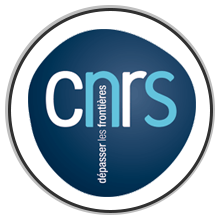 Reverter, M., Saulnier, D., David, R., Bardon-Albaret, A., Belliard, C., Tapissier-Bontemps, N., Lecchini, D., Sasal, P., 2016. Effects of local Polynesian plants and algae on growth and expression of two immune-related genes in orbicular batfish (Platax orbicularis). Fish & Shellfish Immunology, 58: 82-88. Riaux-Gobin, C., Compère, P., Jordan, R.W., Coste, M., Yesilyurt, C., 2016. Cocconeis molesta Kütz., C. diaphana W.Sm. and C. disrupta W.Greg. (Bacillariophyta): type material, ambiguities and possible synonymies. European Journal of Taxonomy, 204: 1-18. Romdhane, S., Devers-Lamrani, M., Barthelmebs, L., Calavayrac, C., Bertrand, C., Cooper, J.F., Dayan, F.E., Martin-Laurent, F., 2016. Ecotoxicological impact of the bioherbicide leptospermone on the microbial community of two arable soils. Frontiers in Microbiology, 7: 775. Roux, N., Duran, E., Lanyon, R.G., Frédérich, B., Berthe, C., Besson, M., Dixson, D.L., Lecchini, D., 2016. Brain lateralization involved in visual recognition of conspecifics incoral reef fish at recruitment. Animal Behaviour, 117: 3-8. Rouzé, H., Lecellier, G., Saulnier, D., Berteaux-Lecellier, V., 2016. Symbiodinium clades A and D differentially predispose Acropora cytherea to disease and Vibrio spp. colonization. Ecology and Evolution, doi 10.1002/ece.1895. Sahyoun, R., Guidetti, P., Di Franco, 1., Planes, S., 2016. Patterns of fish connectivity between a marine protected area and surrounding fished areas. Plos One, doi: 10.1371/journal.pone.0167441. Salles, O., Saenz-Agudelo, P., Almany, G.R., Berumen, M.L., Thorrold, S.R., Jones, G.P., Planes, S., 2016. Genetic tools link long-term demographic and life-history traits of anemonefish to their anemone hosts. Coral Reefs, doi: 10.1007/s00338-016-1485-1. Salles, O., Pujol, B., Maynard, J.A., Almany, G.R., Berumen, M.L., Jones, G.P., Saenz-Agudelo, P., Srinivasan, M., Thorrold, S.R., Planes, S., 2016. First genealogy for a wild marine fish population reveals multigenerational philopatry. PNAS, doi : 10.1073/pnas.1611797113/.DCSupplemental. Salvat, B., Roche, H., Ramade, F., 2016. 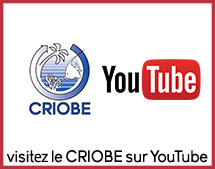 On the occurrence of a widespread contamination by herbicides of coral reef biota in French Polynesia. Environmental Science and Pollution Research, 23: 49-60. Shen, K.N., Chang, C.W., Delrieu-Trottin, E., Borsa, P., 2016. Lemmonpeel (Centropyge flavissima) and yellow (C. heraldi) pygmy angelfishes each consist of two geographically isolated sibling species. Marine Biodiversity, doi: 10.1007/s12526-016-0509-y. Thiault, L., Kernaléguen, L., Osenberg, C.W., Claudet, J., 2016. Progressive-change BACIPS : a flexible apporach for environmental impact assessment. Methods in Ecology and Evolution. Doi: 10.1111/2041-210X.12655. Thiriet, P.D., Di Franco, A., Cheminée, A., Guidetti, P., Bianchimani, O., Basthart-Bogain, S., Cottalorda, J.M., Arceo, H., Moranta, J., Lejeune, P., Francour, P., Mangialajo, L., 2016. Abundance and diversity of crypto- and necto-benthic coastal fish are higher in marine forests than in structurally less complex macroalgal assemblages. Plos One, doi: 10.1371/journal.pone.O164121. Viviani, J., Williams, J.T., Planes, S. 2016. Two new pygmygobies (Percomorpha : Gobiidae : Trimma) from French Polynesia. Journal of the Ocean Science Foundation, 23: 1-11. Waldie, P.A., Almany, G.R., Sinclair-Taylor, T.H., Hamilton, R.J., Potuku, T., Priest, M.A., Rgodes, K.L., Robinson, J., Cinner, J.E., Berumen, M.L., 2016. Restricted grouper reproductive migrations support community-based management. Royal Society Open Science, 2: 150694. http://dx.doi.org/10.1098/rsos.150694. Williamson, D.H., Harrison, H.B., Almany, G.R., Berumen, M.L., Bode, M., Bonin, M.C., Choukroun, S., Doherty, P.J., Frisch, A.J., Saenz-Agudelo, P., Jones, G.P., 2016. Large-scale, multidirectional larval connectivity among coral reef fish populations in the Great Barrier Reef Marine Park. Molecular Ecology, 25 :6039-6054. Zaneveld, J.R., Burkepile, D.E., Shantz, A.A., Pritchard, C.E., McMinds, R., Payet, J.P., Welsh, R., Correa, A.M.S., Lemoine, N.P., Rosales, S., Fuchs, C., Maynard, J.A., Thurber, R.V., 2016. Overfishing and nutrient pollution interact with temperature to disrupt coral reefs down to microbial scales. Nature Communications, doi: 10.1038/ncomms11833.